I decided to look for other examples of that kind of faith. I read about the woman with the issue of blood. She had been to all the doctors, and had spent all of her money trying to find someone who could heal her. Even after twelve years she still held out hope. When she heard about Jesus she knew that if she could just get close enough to touch but his clothes, she would be made whole. 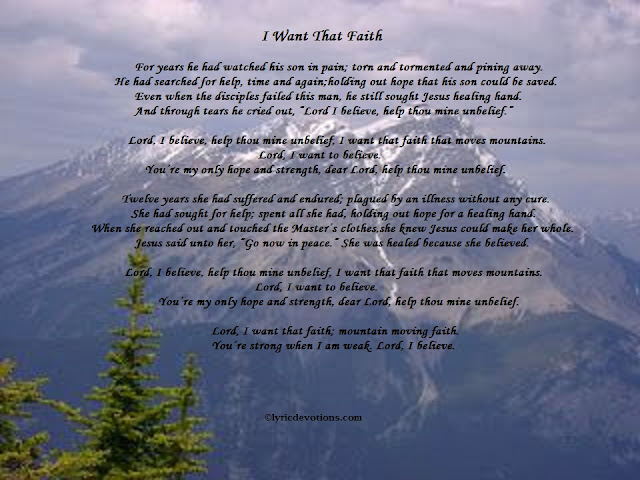 That is mountain moving faith! Lord, I believe; help thou my unbelief! 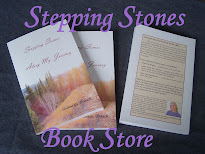 As much as I believe God’s word to be true, there are still situations when I have to say, “Help thou mine unbelief.” Will I ever come to the point of believing that through faith I can move a mountain? 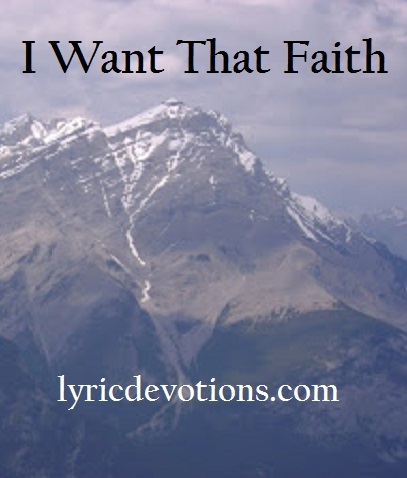 Oh how I want that faith! torn and tormented and pining away. holding out hope that his son could be saved. he still sought Jesus healing hand. I want that faith that moves mountains. Lord, I want to believe. dear Lord, help thou mine unbelief. plagued by an illness without any cure. holding out hope for a healing hand. she knew Jesus could make her whole. She was healed because she believed. 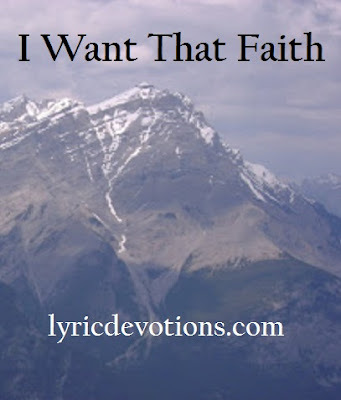 Lord, I want that faith; mountain moving faith. You’re strong when I am weak. Lord, I believe. Mark 9:17,18,23,24 And one of the multitude answered and said, Master, I have brought unto thee my son, which hath a dumb spirit; And wheresoever he taketh him, he teareth him: and he foameth, and gnasheth with his teeth, and pineth away: and I spake to thy disciples that they should cast him out; and they could not. Jesus said unto him, If thou canst believe, all things are possible to him that believeth. And straightway the father of the child cried out, and said with tears, Lord, I believe; help thou mine unbelief. Matthew 17:18-20 And Jesus rebuked the devil; and he departed out of him: and the child was cured from that very hour. Then came the disciples to Jesus apart, and said, Why could not we cast him out? And Jesus said unto them, Because of your unbelief: for verily I say unto you, If ye have faith as a grain of mustard seed, ye shall say unto this mountain, Remove hence to yonder place; and it shall remove; and nothing shall be impossible to you. Mark 5:25-29,34 And a certain woman, which had an issue of blood twelve years, And had suffered many things of physicians, and spent all that she had, and was nothing bettered, but rather grew worse, When she had heard of Jesus, came in the press behind, and touched his garment. For she said, If I may touch but his clothes, I shall be whole. And straightway the fountain of her blood was dried up; and she felt in her body that she was healed of her plague. And he said unto her, Daughter, thy faith hath made thee whole; go in peace, and be whole of thy plague. Yes, that's my prayer Deborah "Lord, Help my unbelief!" You have such a lovely blog... very peaceful and pretty. Thank you for sharing this song. The message is worth hearing in an age of doubt and despair. I want that faith that moves mountains too. Hi Jerry! thanks for stopping by, it's been a long time. I hope you are well. Yes, I need that faith that moves mountains too...more every day! Doing a lot better these days. Was faltering under depression for a while, but I believe that I have my eyes back on the Lord now. Life is sooo much better when we do that! Yes it is! So glad to hear you're doing better.